Revlon is one in the most popular and well reputed makeup brand in all over the world. Revlon is a makeup brand that always launches their makeup products. The brand is much famous for their wide range of lip colors. Women always attract towards their lip colors because they are bold, lustrous and glossy. Their lipstick range has launched recently for this year 2015. 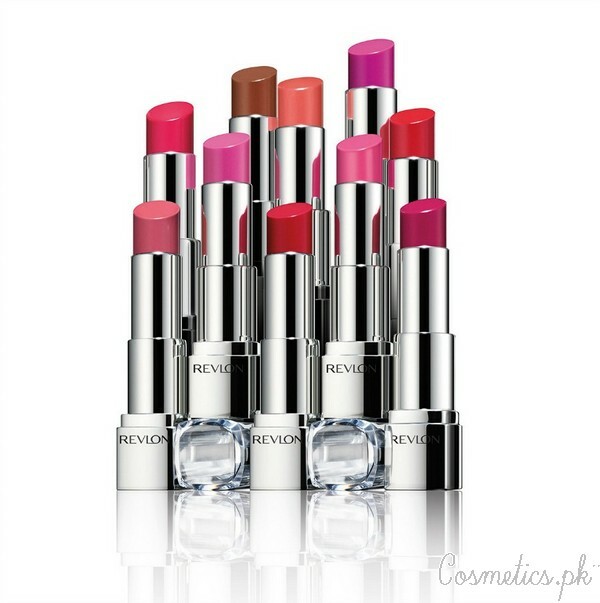 Here in this post i am also sharing top 4 Revlon lip colors 2015 in Pakistan below. These all lip colros are new and launched recently. Revlon latest lip colors includes lipsticks and lip glosses. These lip colors are really very popular and available easily anywhere in markets. Let’s check out the review and price of top 4 Revlon lip colors 2015 below. This is a Revlon new HD lipstick range that comes in 20 beautiful shades. This is a wax-free gel lipstick that gives a true clarity in only one sweep. These lipsticks shades are bold and high-definition. It gives smooth and soft look to lips. It doesn’t give heavy look in hot season. Gives Smooth Look In One Sweep. Available in 20 HD Colors. This is a new Revlon Colorstay Overtime Lipcolor collection which is full of with moisture and rich shine. It is available in 26 beautiful shades. All the shades are bold and work overtime. These lip colors don’t need touch ups. They are moisturizing, glossy and also soft. The lip glosses contains soy extract and chamomile that give protection to lips. Lip Color + Moisturizing Glosses. Gives All Day Color Coverage. This new ultra HD lip lacquer range comes in 15 beautiful colors. These lip lacquers are innovative and true colors. It has a wax-free gel technology that give clarity, vivid shine and glossy look. It is lightweight and bouncy in feel. It is long lasting for all day without fading. Gives Clear and Vivid Look. It Is Silky Not Sticky. Availble In 15 HD Colors. This Revlon new super lustrous lipglosses are silky and hydrated. These lip glosses boost hydration and plumps lips. It has moisturizing effect with shine and touch. They have a good color pay off that won’t be fading. These are silky but not sticky and alo gives glamorous shine. Boosts Hydration and Plumps Lips. So, these are the top 4 new Revlon lip colors 2015 for summer. These are available easily at any big cosmetics shop at very reasonable price.